The main goal of the panel, “What’s next: Artificial Intelligence, Machine Learning, Blockchain, Augmented Reality and other tech trends that will impact journalism,” was to discuss the current technological tools used in journalism and their impact on the practice, taking into consideration some specific cases. Mia Tramz, managing editor of Life VR, Meredith (formerly Time Inc.) chaired this panel. Tramz gave some examples of how virtual reality (VR) has changed the way information is disseminated, also focusing on 360-degree videos, a format to present virtual experiences. Not only because of the swift evolution 360 cameras have had over the last 2 years, but also due to the affordability of modern VR headsets, many projects have been developed to provide the user more immersive experiences. This kind of experience, which Tramz called “the true virtual reality,” more than just a 360 video, is a computer-generated three-dimensional environment that the user can walk through and interact with. One of its advantages is taking the user to places he or she would not have access to otherwise, such as returning to Pearl Harbor under the perspective of one of its survivors or walking on the surface of Mars. The challenge? To make the technology as publicly accessible as possible, so that anyone may access it at any time. Deborah Basckin, producer at NBC Left Field, works on the usage of VR as a creative tool, namely by using Google Tilt Brush. Using a glidecam and creating new environments where digital objects coexist with the real world, Basckin is a producer and simultaneously a journalist. As she explained, the difference in using VR as a tool rather than making something for VR as a platform, lies in the engagement itself. This method connects the audience in creative and innovative ways, “waking people up,” and shaking them to get information through a new storytelling technique. Jarrod Dicker, CEO of Po.et, spoke about blockchain in media (vs. database), using his company as a case of study. Dicker started to ponder on attribution in media as a real problem when it comes to being able to store and archive metadata in an immutable ledger. Po.et is an open source protocol, a non-profit-business that reclaims faith, transparency and opportunity for the content creators, publishers and consumers. Dicker explained this by giving the example of screenwriters who have ideas and want to syndicate and share them without being copied. Po.et acts as an authenticator and as a certification platform that “aims to create the most institutional, globally- verifiable record of digital media assets,” as mentioned on its website. Through a retrospective examination of augmented reality (AR), starting with the “Cue Cat” (a small device that allows people to search for online information by scanning any product’s barcode) until the present, Zach Seward concluded that “this is a big moment for AR.” According to Seward, AR has been transforming the world in three main ways: 1. the way people communicate – dominated by visual, manipulated representations of themselves (for example, on social media platforms, in Snapchat or Instagram); 2. the way electronic devices can see and present depth for a flat image – a 2-dimensional representation can be turned into a 3D experience quick and easily, something unthinkable two or three years ago; 3. the way people can access AR experiences on their own iOS and Android smartphones, thanks to rapid technological development. As he argued, the kick off moment took place last June when Apple announced the Apple ARKit in iOS 11, followed by Google’s ARCore on Android 7. Immediately, many companies have released their AR versions, such as Facebook AR Studio, Snapchat Lens Studio, WeChat QAR, Amazon Sumerian, etc. In AR, 3D models are media types that can be used in mixed reality to improve the user experience. It provides an immersive explanatory experience, letting the user discover any object in any place he wants to. To discover SpaceX’s spacecrafts in a person’s living room or to learn about the Berlin Wall on a Copenhagen Street are two of the countless examples of how AR can be used. Additionally, users can share their experience by screenshotting it. Despite all the advantages, not all the subjects provide great experiences, what has been conceived as one of the challenges for AR – for instance, space and sports seem a much more natural fit than breaking news. Another challenging task for AR is related to user experience: how can we instinctively let the user know he has control of the object, like “if he taps this, something’s going to happen?” How can we manage the place conditions where the user wants to place the virtual object, such as inadequate lighting? Indeed, these are some of the issues AR will have to face for some time, yet. The last presentation was carried out by Jeremy Merrill, news apps developer at ProPublica, who addressed the way Machine Learning (ML) and Artificial Intelligence (AI) have been used now and in the past few years in the context of journalism. Merrill, as a programmer, thinks that ML and AI are all about math, about some computer numbers manipulated in a way people just don’t understand, whose goal is to find patterns. In jest, he argued that the difference between ML and AI cannot be discovered, at least if you are not a philosopher – in this case, you could see “a little difference.” ML can help journalists find something they didn’t know before, something told by computers. A challenge for journalism and also for some companies includes looking at what ML thinks to be interesting. It might not be what the journalist/entrepreneur thinks is newsworthy. Also, since we’re living an era in which people can combine VR with ML, applying some computational techniques to create fake propaganda, based on fake videos with fake audio, can be seen as a negative purpose for this alliance. To finalize, Merrill stated that ML and AI are two really useful tools for investigative reporting that are getting awe-inspiring results. However, they also bring harmful purposes, and people must be careful with them. 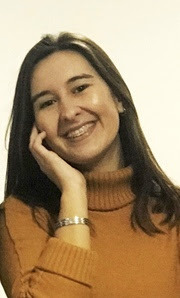 *Mariana Magalhães, PhD candidate in Digital Media, UPorto. In her doctoral thesis, she is currently exploring the role of users’ emotions in virtual tourism experiences with a goal to orient communication to the consumer.